NB: some fonts may not display correctly on all readers, in which case the PDF file should be consulted. In addition, the PDF file and the print hard copy are the only formats that include the indexes. In the Arabic eleventh-century, scholars were intensely preoccupied with the way that language generated truth and beauty in the space between God and the poets. Alexander Key leads the reader through discussions of language, mind, and reality across multiple genres of scholarship in the work of four of the most famous Classical Arabic scholars. The littérateur ar-Rāġib al-Iṣfahānī, the theologian and legal theorist Ibn Fūrak, the philosopher Ibn Sīnā (known in the west as Avicenna), and the literary critic ʿAbd al-Qāhir al-Ǧurǧānī shared a conceptual vocabulary based on the words maʿnā and ḥaqīqah. They built theories that can be used today. We still want to understand how poetry works through syntax to create affect, and we are still interested in the problem of how language, mind, and reality interact. 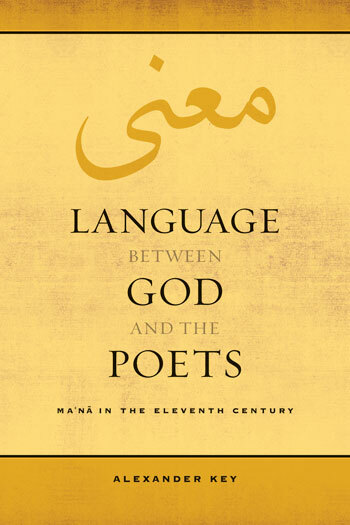 Language Between God and the Poets makes Classical Arabic solutions to these problems available for the first time in twenty-first-century English, and does so within a rigorous and original theoretical framework for the translation of theory.